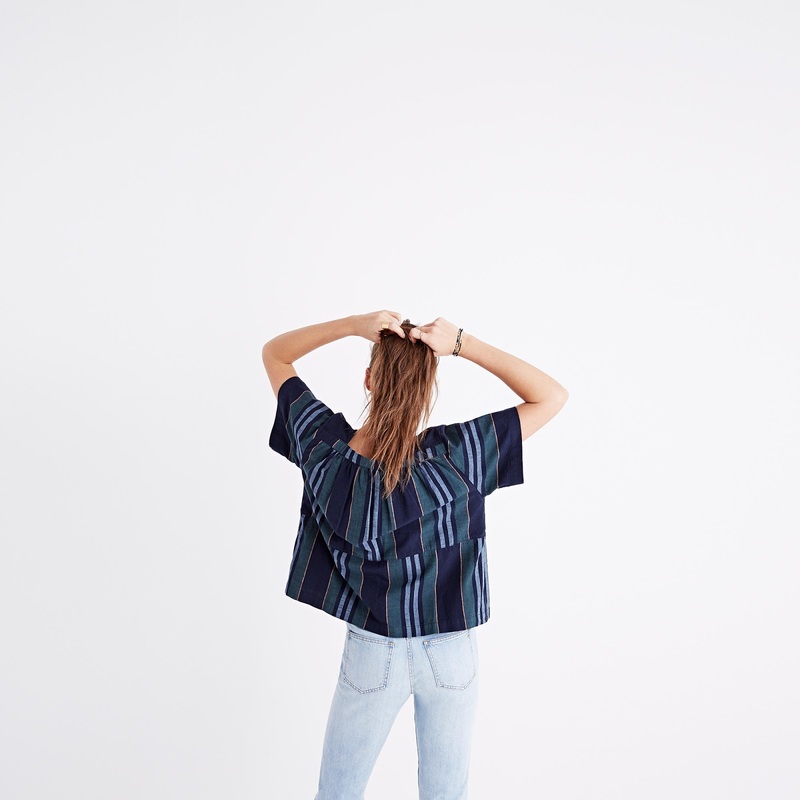 Ace & Jig New Arrivals at Madewell! After holding out on us for a whole season, Madewell is finally back in the Ace & Jig game, and with some never-before-seen pieces to boot! 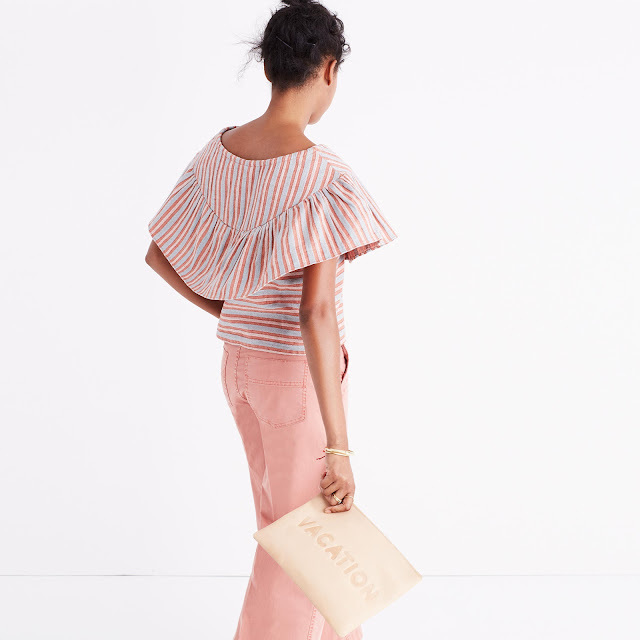 The Ace & Jig Simone Dress in Dune is definitely new to me and might even be exclusive to Madewell? 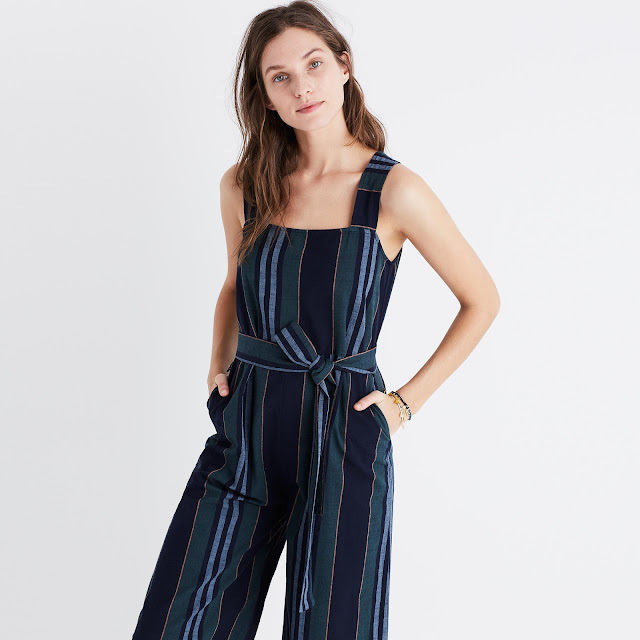 Update: Confirmed as a Madewell Exclusive! 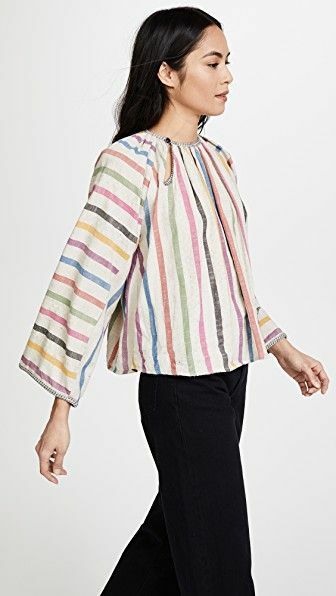 I'm not normally a ruffle person, but I'm tempted to give this one a try! Free shipping and free returns for "Madewell Insiders," (you just need to create an account) makes for a tempting offer! See below for beautiful photos of all of the new arrivals, and convenient links! 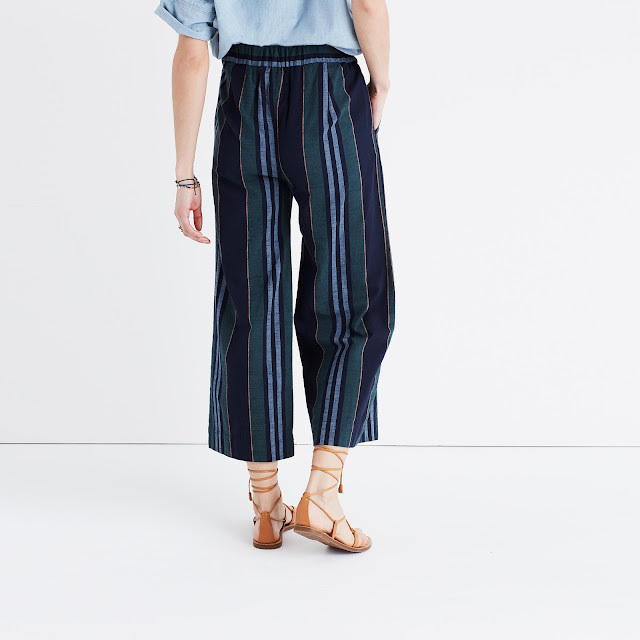 The Ace & Jig Clifton Top in Dune might also be a Madewell exclusive? This is one that probably isn't for me because I'd likely get overwhelmed by that top ruffle/cape, but it sure looks awesome with those pink pants! The Ace & Jig Allovers in Major are ones we've seen before, but more photos is never a bad thing! The Ace & Jig Vista top in Major sure looks huge and boxy here... Maybe they sized up. Are you going to give any of these a try? With free shipping and free returns for "Madewell Insiders," here's a golden opportunity!